Are you a self-motivated, highly organised individual who can work with minimal supervision? Do you thrive in an environment where you can by example, inspire a team through your commitment and passion and make judgements about what risks are necessary to make a significant contribution to business outcomes? Do you have excellent verbal and written communications skills? Are you looking for an opportunity to be professionally developed in order to become a logistics subject matter expert and senior logistics representative? 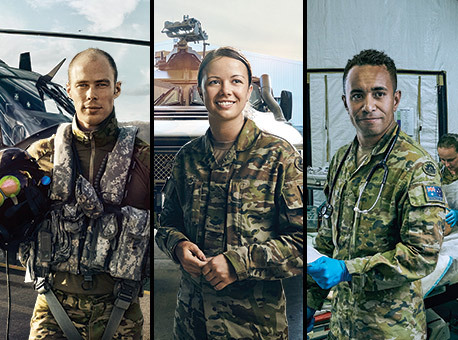 The APS 5 Logistic Officer at Battalion Headquarters, 41st Battalion, the Royal New South Wales Regiment (41 RNSWR) located in Lismore NSW, is responsible for providing logistic support and governance. In this position you will have a unique opportunity to work in our warehouse utilising innovative military logistic systems, operating material handling equipment, managing warehouse work flow procedures and driving vehicles up to a medium rigid truck to various defence sites. You will also be required to work in an office environment, demonstrating an advanced level of computer literacy to competently use military logistic software. You will be responsible for small team management requiring you to invest in the training, coaching and mentoring of the logistics team members which will enable you to effectively assign tasks to them. A habitual problem solver, you will need to remain “hands on” with a bias for action to drive logistic outcomes to tight schedules, deliver routine governance outcomes and prioritise tasking to support Army activities including training in the barracks, and field exercises. Flexibility in work hours is essential to support the wide range of activities undertaken. If this is the type of exciting opportunity you are looking for apply now.